Are you ready for a red and white overload? If you're not a fan of the red/white color combo then consider yourself warned. You may just want to move on to the next blog post. Back in April I was asked to make a quilt to donate to a charity auction. I had a short amount of time to finish it, so I knew I needed something fast, but impressive. 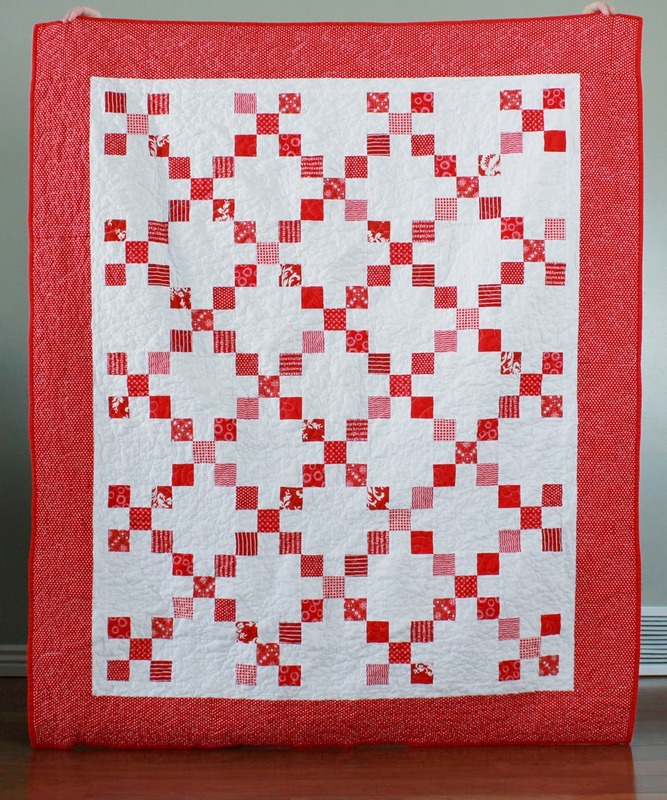 A simplified Irish Chain quilt was the answer! It needs just a handful of jelly roll strips and some background fabric and you're on your way. The center part of the quilt top is all strip pieced so it's quick to put together. 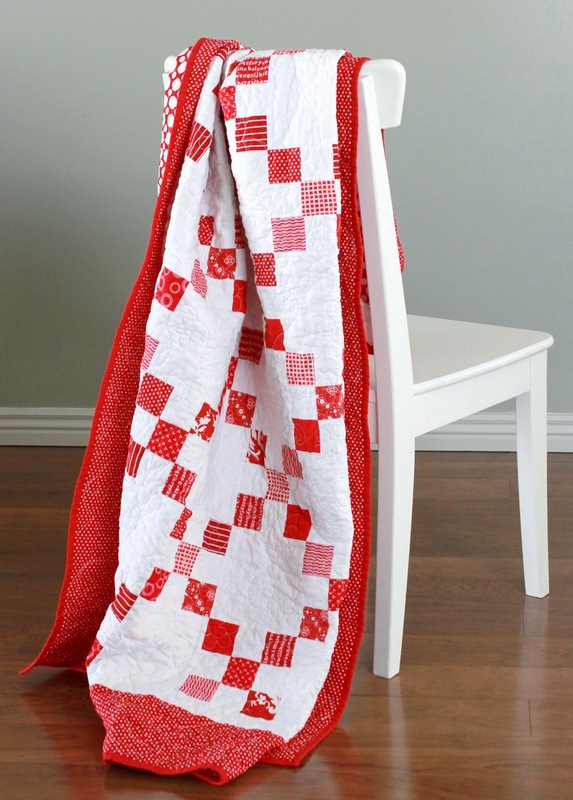 Once I had the quilt finished, I wrapped it up for delivery and then had a hard time letting it go! So within a few weeks I had made another one - for myself. To keep. I changed a few things up so I'm saving that one to show another day. Since then (and with the blog post about my most recent Irish Chain quilt) I've had a lot of questions about how I made my quilts. Instead of doing a tutorial I decided to just write up a pattern that you can download and print. The pattern is for this particular Irish Chain quilt with two borders. 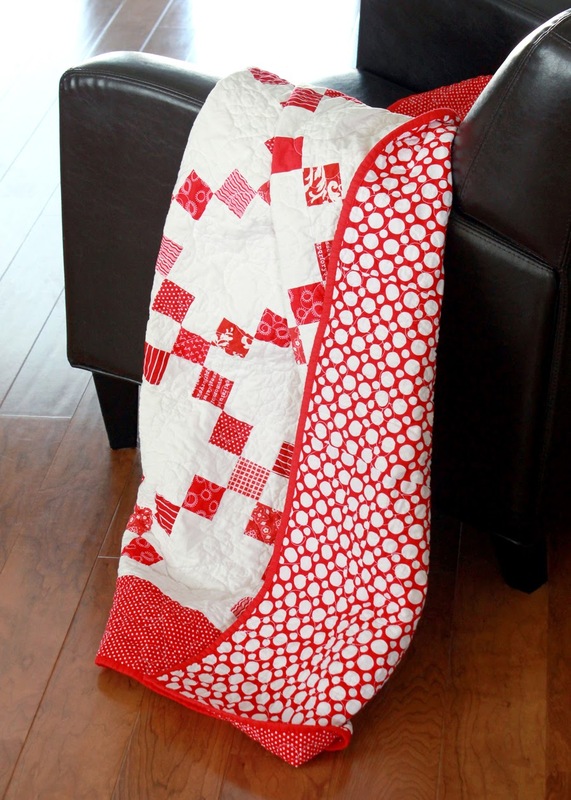 The finished quilt measures 56" x 68" and you can find the free downloadable PDF pattern here! If you make an Irish Chain quilt I'd love to see it! Tag me on Instagram or Facebook, or add your quilt to the Sewing with A Bright Corner Flickr group. Love it, Andy, really. I'm getting the itch! Thanks and thank you for your creativity.